I never realized until recently, there is so many ways to save money in the kitchen. 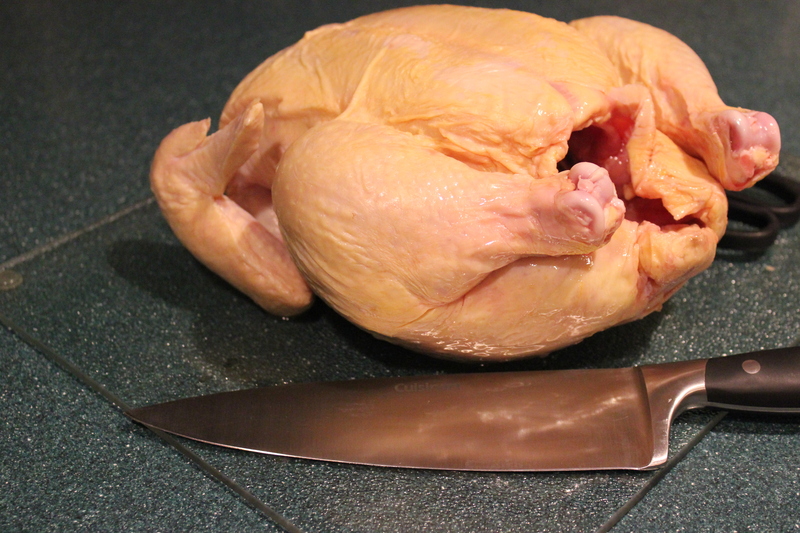 For example, buying two roasting chickens and cutting them up yourself saves you a ton of money. I thought it would be harder than it actually was, you will need a nice sharp knife and some kitchen shears. For this recipe, I used the breast of two roasting chickens. 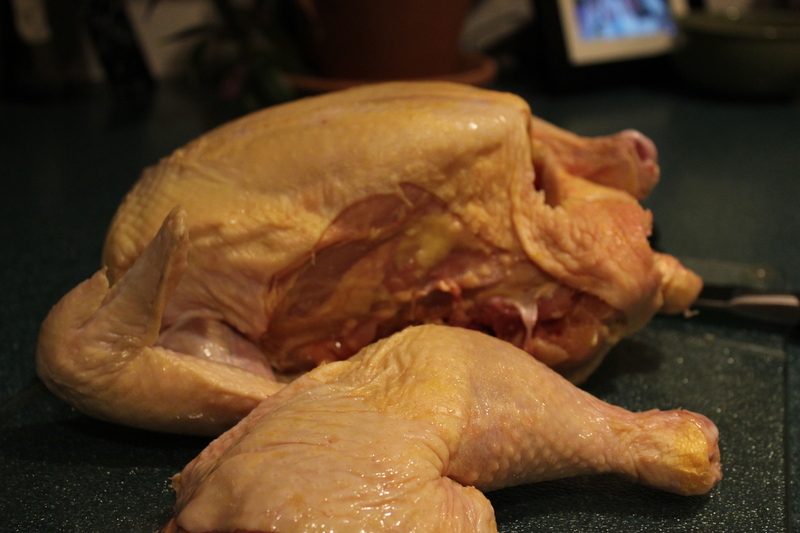 I saved the legs and wings for a dinner I will be making later this week. 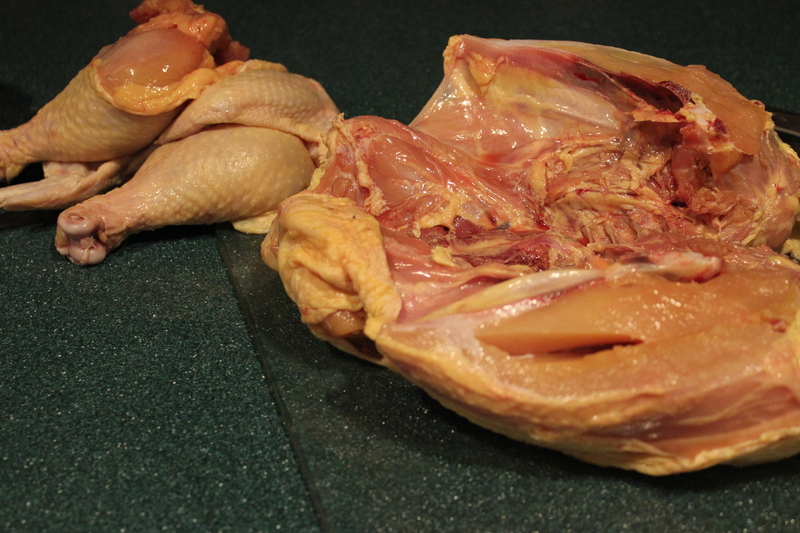 Once you have removed the legs and wings cut the breast down the middle and remove the two filets. 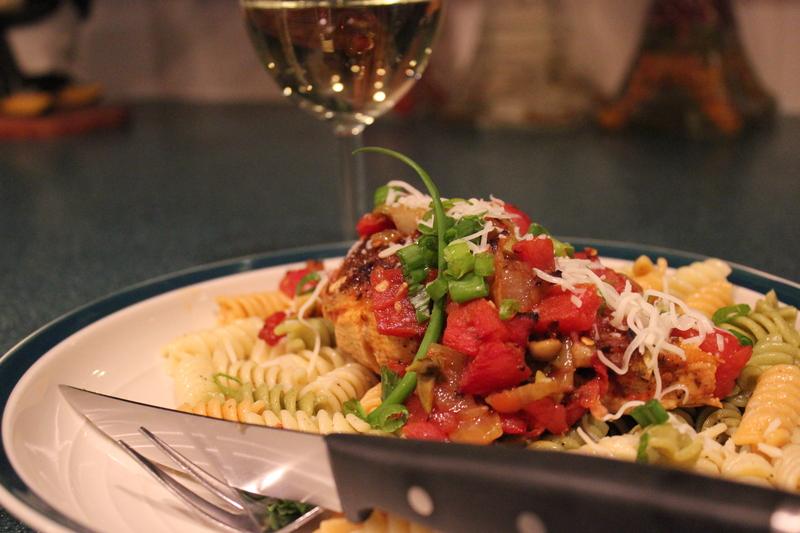 As for this recipe it is pretty easy to make and if you don’t want to cut up your own chicken, then use skinless chicken breasts. 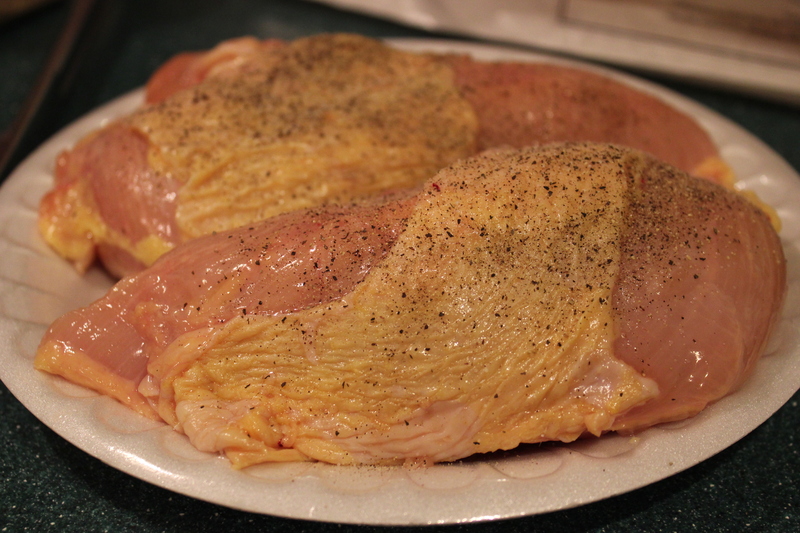 4 chicken breast skin on or off. 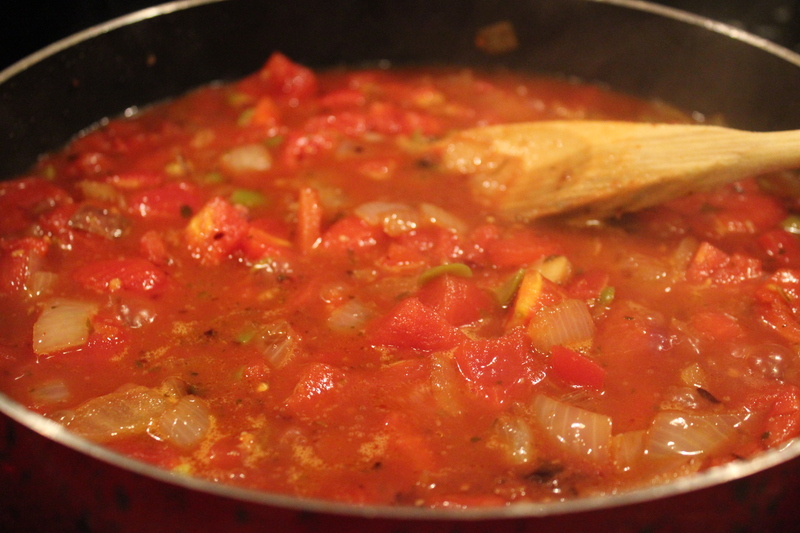 Heat the oil in a large pan over medium high heat in an oven safe pan. 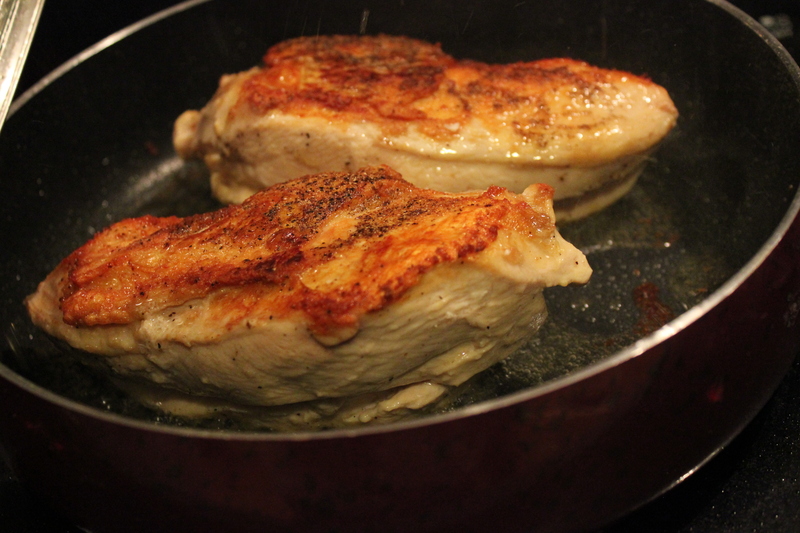 * cover the chicken breast in salt and pepper and add to the heated oil (it will ripple when heated) Cook for 3-4 minutes until the skin browns before turning to cook for another 2 minutes. 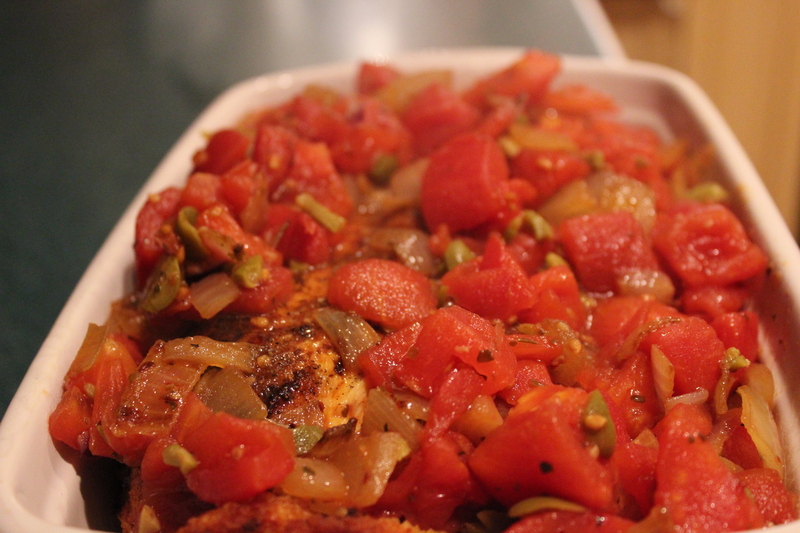 Remove the chicken from the pan and add the onions to sauté for an additional minute before adding the olives, tomatoes, red pepper flakes and broth. Be sure to stir well to remove any stuck on bits in the pan. *If you don’t have an oven safe pan once all of the items are cooked you can put it in a casserole dish and cook in that. It looks so good and was very moist and tasty!